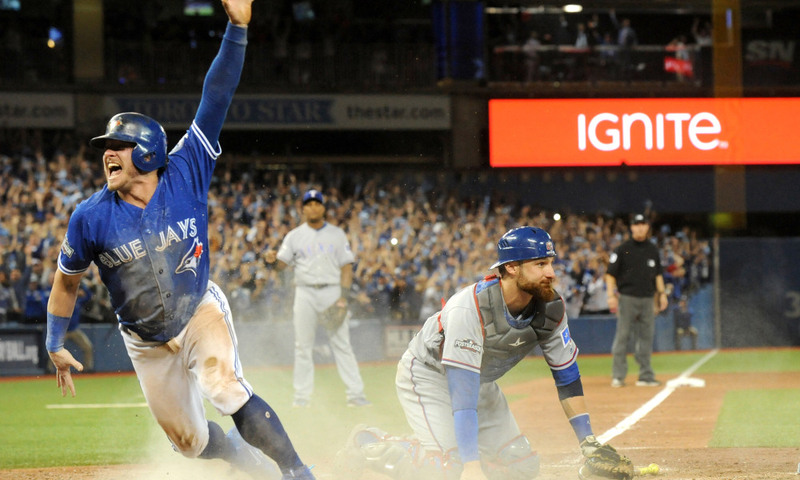 For seven months, the Toronto Blue Jays took fans on an incredibly wild ride. Now, the Blue Jays season is over and that exhilarating seven month long party has come to an end. The Jays exited the postseason as many good teams do; at the hands of a talented team. Many underestimated the Cleveland Indians, but they won 94 games for a reason and they’re going to the World Series because they beat some good teams. The Toronto Jays were one of those good teams. A squad which entered the 2016 campaign as defending American League East Champions, and finished in a similar fashion to 2015; as one of the final four teams in baseball. We can sit here and pick apart how and why the Blue Jays lost to the Indians. There will be weeks and months to analyze that, but for the moment, it’s pretty simple – they couldn’t hit. The feast or famine Blue Jays hit “famine mode” after feasting on the Texas Rangers. It just so happened the Jays picked the absolute worst time of the year to go cold. But the overall quality of the Indians pitching staff also contributed to the Blue Jays’ lack of offense, but I digress. Kudos to the Indians, they played a great series. Three weeks ago, I wasn’t even confident the Blue Jays were going to make the playoffs. I’m sure there were many folks like me, in full-blown panic mode that the Blue Jays were going to blow it. That they were going to pull a 1987 Blue Jays and miss out on the playoffs entirely. But after sweating out the remaining four weeks of the regular season, the Blue Jays squeaked into the playoffs as a Wild Card team. And that felt like an accomplishment in itself. The Blue Jays nearly went from going home in early October, to coming three wins short of the World Series. Considering how the Blue Jays limped into the playoffs, a one-game Wild Card winner-take-all game felt like a gift. After almost having that opportunity taken away, any subsequent postseason games were a bonus. 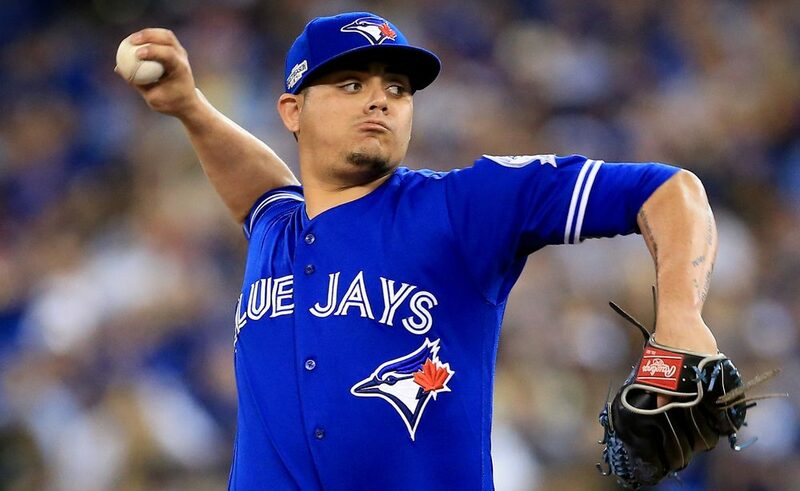 So after knocking out the Orioles, the Blue Jays entered the ALDS against a much-feared Texas Rangers squad; arguably a much more solid team and more well-balanced than the Blue Jays. But Toronto disposed of Texas in three straight. I think that’s when things started to get real. Like “maybe they can actually do this”. It’s always remarkable when that flip switches from “just happy to be here” to “World Series or bust”. 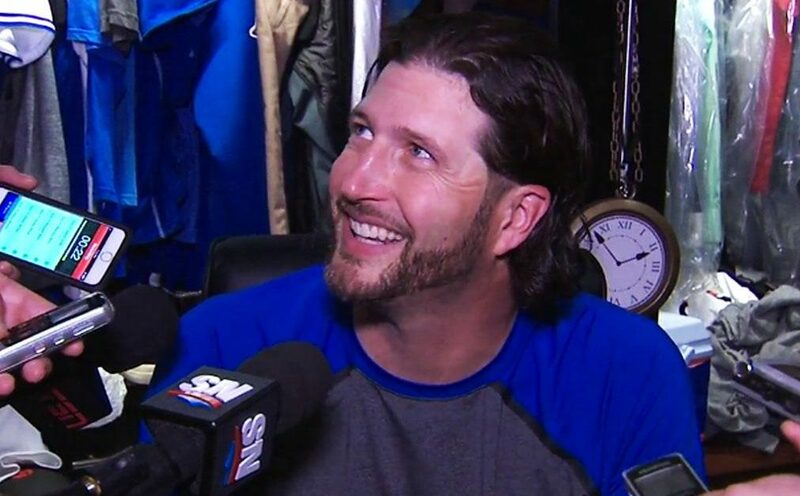 In many ways, I think there really was a “just happy to be here” sense about the 2015 Blue Jays. Climbing into the postseason for the first time in 22 years was like scaling Mount Everest itself. And anything more than that felt like a bonus. 2016 was a memorable Blue Jays season in its own right. This postseason run gave Blue Jays fans two more seminal moments in playoff history; Edwin Encarnacion’s thrilling walk-off home run in the Wild Card game, and Josh Donaldson’s mad dash home to win the ALDS. Along with Jose Bautista’s bat flip from last year, fans now have those three moments on their mantle of Toronto Blue Jays playoff memories. In the eyes of some, anything less than a World Series championship season might seem like a failure. But after 22 years of nothingness, the Blue Jays have made the playoffs in consecutive years and they made it all the way to the ALCS on both occasions. If I could go back and tell the 2005-2014 version of myself that this was going to transpire in 2015 and 2016, I wouldn’t believe it. And after watching what the Blue Jays have done the past two years, I never want to go back to meaningless games in September and 90-loss seasons. Now that I’ve gotten a taste of October baseball, I don’t want anything else. Surely, the players on that 25-man roster feel the same way. Comparing last year to this one, the 2016 Blue Jays season was much different than 2015. The 2015 Blue Jays really didn’t kick things into high gear until August and then never looked back. Whereas the 2016 Blue Jays rose and fell numerous times throughout the season. Last year, the Blue Jays barrelled their way into the playoffs on the backs of their all-worldly offense. This year, they did it thanks to their stellar starting pitching. Two completely different formulas, two slightly different casts of characters: same result. It might sound cheesy to be grateful for a team that didn’t go all the way, but it’s hard not to be appreciative for everything this team provided in 2016: the happiness, the joy, the sadness, the frustration … all of it. It was fun, it was maddening, but at the very least, it was entertaining. Thank you once again, Blue Jays. Thanks Ian, for another season of great posts, sprinkled with hilarious asides. A bittersweet season to say the least, and one that could be labeled satisfyingly frustrating, or frustratingly satisfying. Last season we couldn’t wait to chase the opponent’s starter. Which worked this post season until we met Cleveland! No, keep the guy who’s hand is gushing blood in the game. Anything to not face their bullpen! A couple friends whined that we could’ve gotten Miller this trade deadline if AA hadn’t bet the farm last season. My answer is there wouldn’t have been a “this year” if it weren’t for “last year”. Finally, which was more exciting? Last year’s holy cow run through August, September and October…or the last week of this year’s regular season? I venture the final week this season had me discovering the power of prayer, and dreading a repeat of 1987. Thanks Bruce! I think this year’s pennant race represented more of a traditional playoff run. We may have been a little spoiled last year post All-Star break since it was playoffs or bust from August on. 2017 will be an interesting year, for sure. An opportunity for the this new front office to take this team in the direction they need to (and should) go.